As someone interested in property investment, or if you’re in business, you’d know the importance of consumer confidence in helping make the (economic) world go round. According to Martin Lakos, Division Director, Wealth Management at MacQuarie Bank if you turn your attention away from some of the negative news for just a moment, you may realise that Australia is currently in a better position than many of us may be feeling. Let’s look overseas first to our trading partners. In the case of Japan, they are working very hard to break a 20-year deflationary cycle and appear to be succeeding. China’s economic growth has just been reported at a solid 7.5%; this compares to Australia’s growth of 2.9%. Macquarie has been forecasting for some time that China’s growth will pick-up in the second half of this year and this looks like it is now on track.With manufacturing turning positive, we expect a greater proportion of growth to come from Chinese consumption. 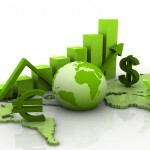 The US has been recovering well, with housing, manufacturing and exports all gaining momentum. They are not yet back to what is considered ‘normal’ levels, but have still seen significant gains. For example, during the worst of the global financial crisis (GFC) in 2009, new housing starts (meaning the number of new houses starting construction) were below 500,000 per year, as compared to the long-term average of 1.5 million. Currently housing starts are around one million per year, so there has been a strong rebound with plenty of upside. Housing activity is key for a developed economy’s growth, as so many other consumer-related activities come from building a house. Australia has just negotiated significant ‘free trade agreements’ with Korea and Japan, and China is next on the list. Over time, these will promote our key exports and make them more competitive, including iron ore, energy, beef, education and tourism, as well as see Australia benefiting from cheaper imported products. Looking to Europe, the pace of recovery there will be slow. The European Central Bank continues to support the European Union with sustained low interest rates and low-cost funding for banks. The economic powerhouse, Germany, continues to do well, driven by export growth. If stock markets are a leading indicator, European businesses are recovering as profits rise. So, the developed world and China are gaining momentum and that is good for Australia. What about developments on our local shores? Yes, Australia has gone through a period of higher taxes and regulation. Our GFC legacy is a budget that needs to be repaired, but Australia is viewed very highly by foreign investors, in particular for its Triple A rated economy and banking system. This is one of the reasons why the Australian dollar is elevated from what we think is fair value of around US89 cents. The Australian economy is transitioning from a reliance on the mining sector to a more normal spread of sectors contributing. An example of this happening is that existing home prices have gone up. They are now cooling a little, but the demand created has shifted to driving a pick-up of new housing, as indicated by rising building approvals. The unemployment rate is set to rise a little towards 6.25%, but don’t forget this data is a lagging indicator, not forward-looking. Job advertisements growth is a forward-looking indicator and has now risen for the past four months, indicating businesses are starting to see improvements and looking to employ staff to support the new activities. With all these factors in mind, Macquarie Research gauges that the downside risks to Australian economic growth are diminishing, so much so that it has raised its growth forecasts for 2014 to 2.9% and for 2015 to 2.7%. These are still below the long-term trend of 3.25%, but the movement is in the right direction. The Reserve Bank of Australia has been very consistent in its monetary policy settings. It has kept official rates at 2.5% since August 2013, supporting a pick-up in growth and we forecast this rate will remain in place until early 2016. This improving picture, along with a prolonged period of historically low interest rates, will ultimately build more confidence.